Dressed up as a sloth, this sponge is super powerful (as well as super cute). The unique, net-like structure of Konjac Sponge gently massages the skin to stimulate blood flow and cell turnover, eliminating dirt and make up. 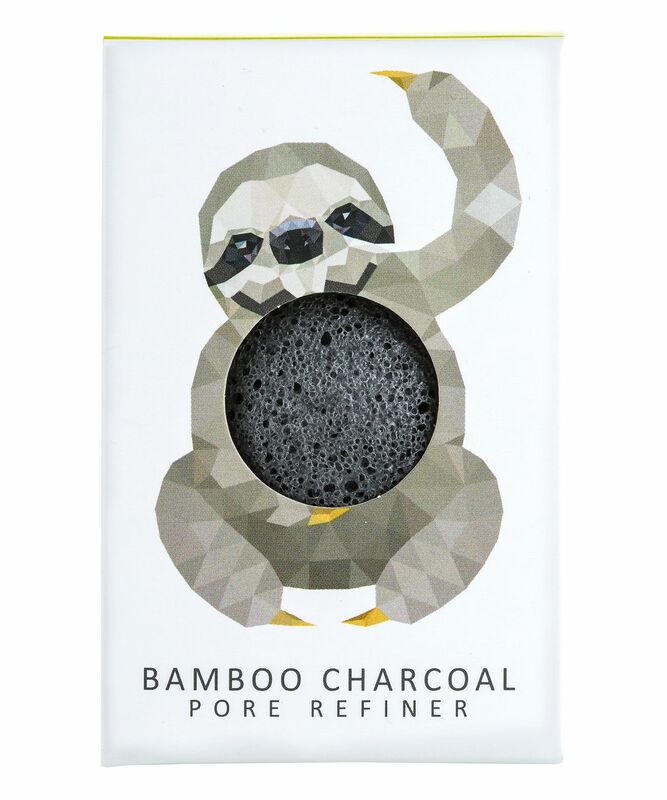 The addition of bamboo charcoal makes this the perfect sponge for occasional spot-sufferers, beard growers or those with oily to combination skin types. This adorable mini Konjac Sponge is perfect for refining, defining and nourishing even the most sensitive skin and makes a great little skin care gift, especially if you’re just treating yourself (your skin will thank you)! 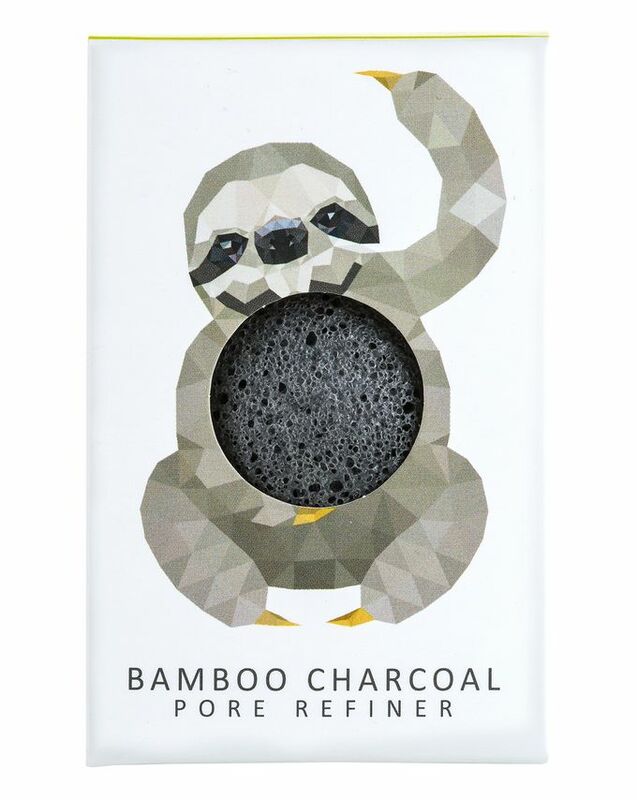 Each of the Konjac Mini Pore Refiner Rainforest Collection has its own added bonus: ‘Sloth’ is enhanced with bamboo charcoal, making it perfect for cleansing oily or blemish-prone skin, thanks to the absorptive properties of the added carbon. The fibrous structure of the sponge gently exfoliates everyday dirt and make up, while bamboo charcoal counteracts excess sebum. Suitable for both women and men (it's great for in-growing beard hairs), each sponge is made from pure Konjac fibre - an Asian plant used for over 1500 years. Great to wash and exfoliate the skin. Could be better in a bigger size but it doesn't bother me. It's really gentle and makes your face soft - maybe not the best to remove makeup with though. This is the first face sponge that I purchased and mostly because of the cute packaging. It doesn't do too much, but it leaves the skin smooth and glowy. I tried to remove my make up with it, but it didn't work and it doesn't really exfoliate either. I keep it in my fridge and I use it when my skin feels "heavy". It feels nice, like a mask or something.